For the umpteenth time in the year-and-a-half history of Open Sources Guelph, we’ll tackle another American shooting tragedy driven by racial politics. If we could have a few less of those, that would be great, but as long as it keeps happening, we’ll keep talking about them. Meanwhile, across the pond, the British government is still dealing with tragedies past, and the bitter ghosts of the Iraq War have been dredged up again. So with all that seriousness, after a much needed break, we hope that City Councillor Mark MacKinnon will be able to lighten things up with a pointed conversation about municipal matters (with laughs… Hopefully). 1) Black and Blue. There were three successive violent incidents involving police last week. Just as the shooting of two separate unarmed black men reawakened concerns about the quick, swift armed reaction of police, especially where black people are involved, a sniper opened fire on Dallas Police last Thursday, killing five and injuring nine more. The irony in tht case of Dallas was that its police is noted for their training and community outreach, but the incident has seem to do nothing but entrench both sides of the debate in the U.S.; the ones that stand up for the police, and the ones that think that the police are going too far in enforcing the peace. With partisan politics as tightly wound as ever in the United States, can anyone find a way to prove, as President Obama observed, that we’re not as divided as we seem? 2) The Big Chilcot. Lord John Chilcot spent seven years studying the United Kingdom’s involvement in the build up to, and action in, the Iraq War, and he came to the conclusion that “the U.K. chose to join the invasion of Iraq before the peaceful options for disarmament had been exhausted. Military action, at that time, was not a last resort.” Furthermore, the war was “mounted on flawed intelligence,” the military went in with “wholly inadequate” planning, and the whole thing ended “a long way from success.” No kidding. 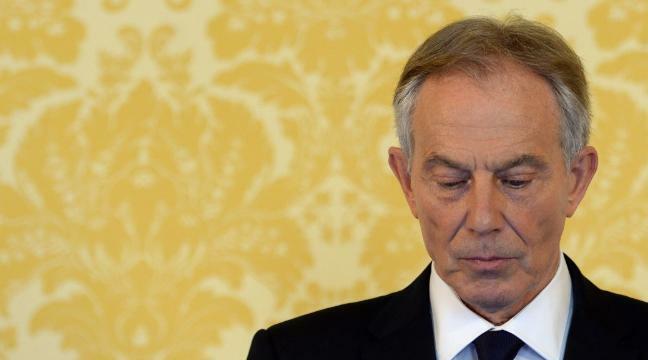 Former British Prime Minister Tony Blair stands by his decision, and continues to insist that the world is a better place without Saddam Hussein, but considering Iraq is still a mess 13 years later, do Blair’s platitudes excuse the troubling findings in the Chilcot report? And why isn’t anyone pushing for a similar investigation in the U.S., the true architect of the Iraq disaster? 3) MacKinnon Comes to Campus. That, of course, is an inside joke concerning the University of Guelph’s infamous Winchester Mansion-like College of Arts building. This MacKinnon though is Ward 6 Councillor Mark MacKinnon, who has business interests in real estate and board game publishing, but on city council has been a voice for prudent spending and finding cost efficiencies. MacKinnon represents Ward 6, which is not only home to a lot of U of G students, but it’s also home to a lot of development and, this year, a lot of construction. So we’ll talk about what changes are coming soon to the Royal City’s southernmost ward, and we’ll also discuss the coming changes to city council’s meeting schedule, developing guidelines for a community node at Clair and Gordon, the tight transit situation during the school year, and the always contentious debate over the fate of the Niska Bridge. Plus, we’ll have listener questions too.